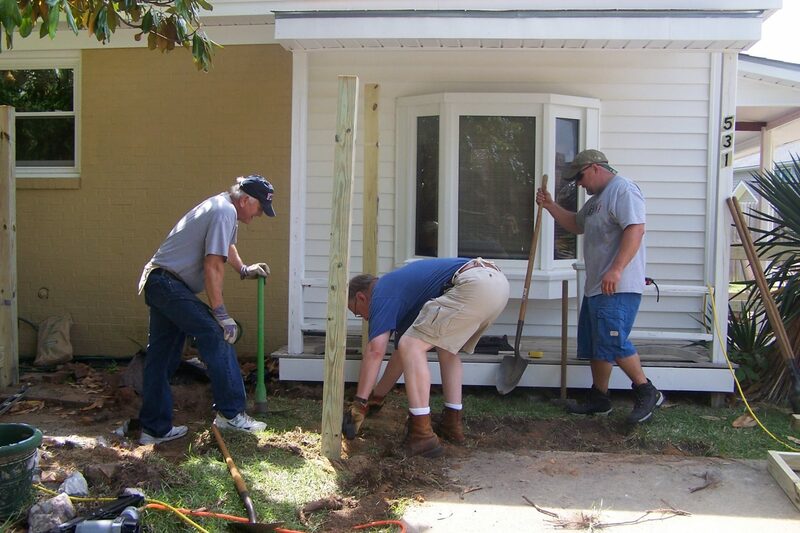 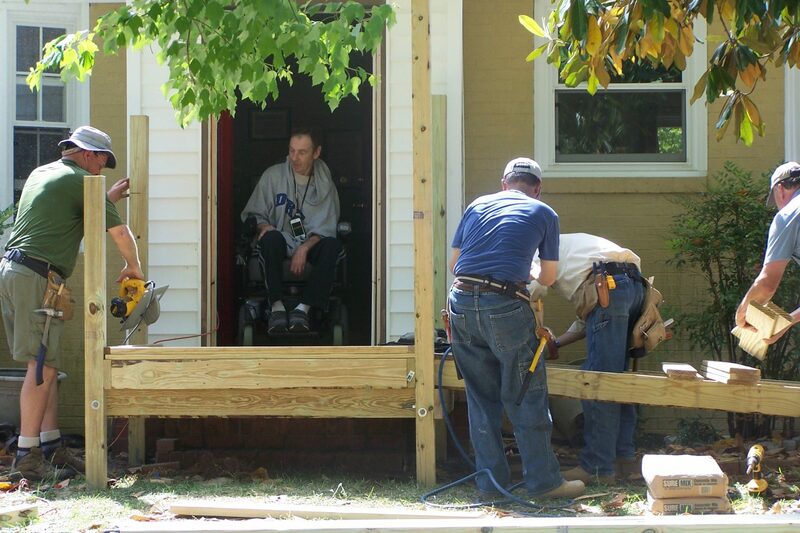 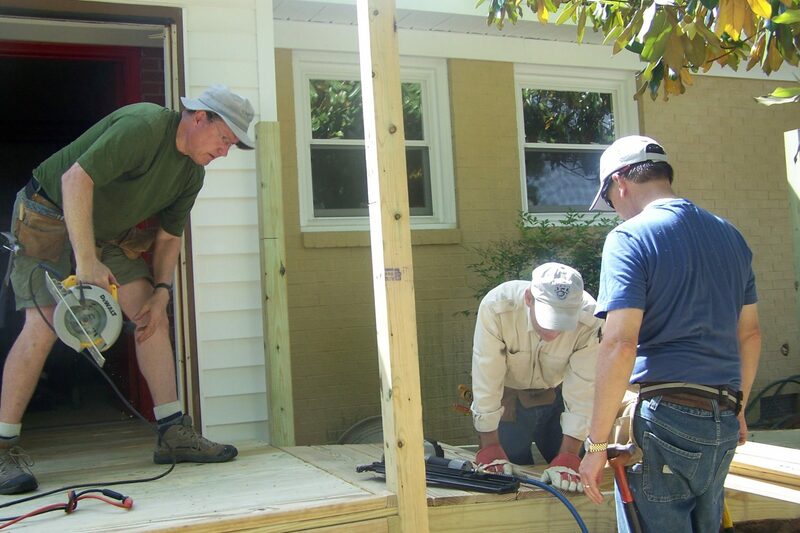 Fayetteville Area Operation Inasmuch Volunteers with Home Improvement Program Team Members Josh & Gary during United Way of Cumberland County’s Days of Caring building a ramp! 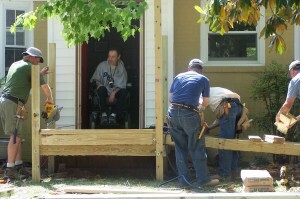 Paul “Butch” Nagy (Client) looking out at his new ramp being built by Snyder Memorial Baptist Church! 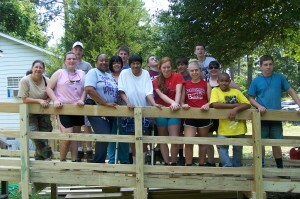 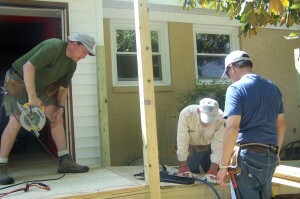 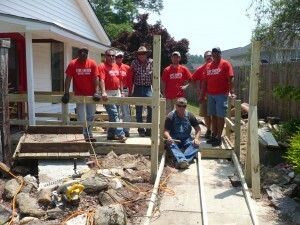 Home Works Volunteers pose on the ramp they built for a Client. 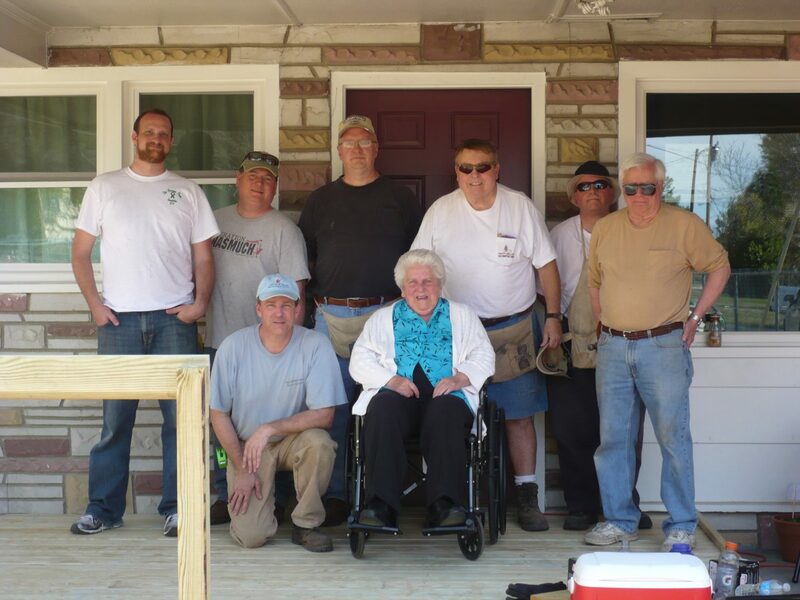 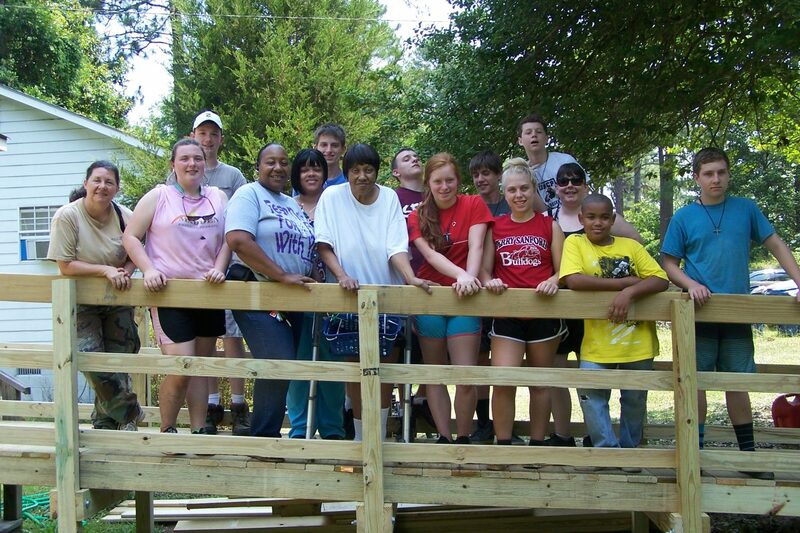 Fayetteville Area Operation Inasmuch & Cumberland County through a biannual, hands-on volunteer Blitz Day, built a ramp for Ms. Maria Gewert.